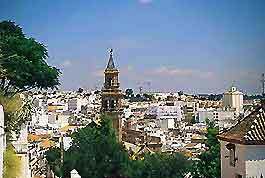 Seville is one of the Spain's great cities and the Spanish are cheerful, friendly and generally very helpful. Good manners in Seville are welcome everywhere and expected by most people. Seville is undeniably a major-league cultural and historic city, and worth a visit, whatever the time of year. Spanish is the third most widely spoken language in the world, after Chinese and English. Although Spanish is the language of the land, English, French and German are generally understood at most attractions, museums, hotels and restaurants that cater for visitors. Castilian Spanish is the official language but in the regions, Basque, Catalan and Galician are spoken. In smaller towns and villages a phrase book is a useful item to carry. Tipping is quite discretionary, with taxi drivers usually being given a 5 to 10% gratuity or thereabouts, although this is by no means obligatory. Restaurants always include service charges by law, and these should be clearly stated on the menus, although a small tip will still be expected and very much appreciated. Hotel staff, such as luggage handlers, happily accept a small tip. Generally, no other public service workers expect tips. You should always pay tips in cash, as this way you can be sure that the person it is intended for receives it fully. 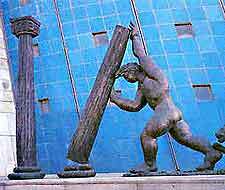 The national religion of Spain is Roman Catholic, although many other faiths and major religions are also represented. There are an enormous number of churches that welcome visitors and these have a fairly formal dress code, i.e. no shorts. In many buildings and public transport, rules restrict smoking and this is usually indicated by no-smoking symbols in prominent places. Spanish legislation makes it illegal to smoke in many public places and the rights of non-smokers tend to prevail over the right to smoke, although most pubs and bars welcome customers who wish to relax with a drink and smoke. Most of the major cities in the Andalusia region have good tourist information offices and Seville is no exception. There are several tourist information offices in Seville, providing the latest information for both the tourist and business traveller in the city. 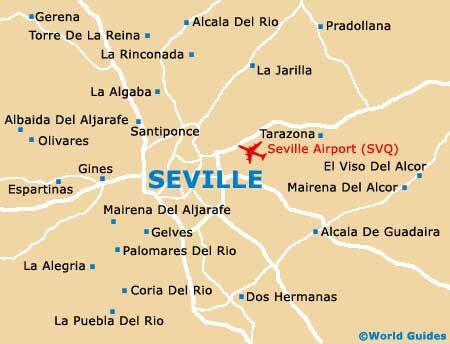 There is also a tourist information office located in Seville airport and other nearby airports. Located in the Avenida de la Constitucion, this tourism and tourist information office in Seville is a useful for place to visit for the latest tourist information, including details about attractions, museums, restaurants and travel in and around Seville. This Seville tourist information office is also able to direct you to a number of multilingual tour guides. The biggest threat in Seville is by bag snatchers and pickpockets. Thieves are very skilled, so be particularly careful with hand baggage. Wear a bag or camera across your body, or even use a concealed money belt. VAT (IVA) is always included in the price and refunds are unusual in Spain. Tourists from countries outside of the EU may claim a refund on this tax if the item was purchased for personal use and cost more than a certain amount. Ask the shopkeeper for details.